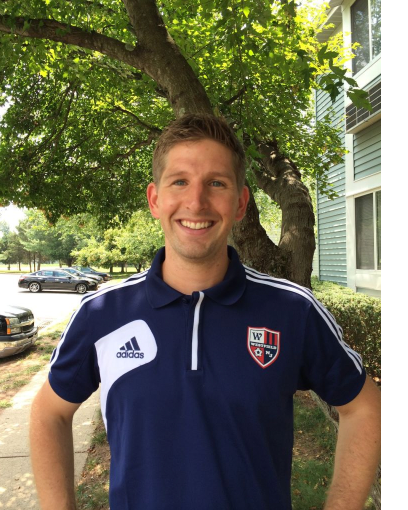 Effective August 1, 2015 the Westfield Soccer Association (WSA) Board of Directors is excited to announce that Ruben Vloedgraven will join the WSA as our new Director of Coaching. Coach Vloedgraven has previously worked for more than 7 years, with Soccer Centers LLC of Somerset NJ – the Home of Dutch Total Soccer. He has had a variety of managerial, coaching and training responsibilities with Soccer Centers and served for 5 years as its Assistant Director of Coaching. While at Soccer Centers, Coach Vloedgraven gained extensive experience in soccer curricula creation and training coaches for developing young players just starting out through to the highly skilled. He also ran both the futsal program and the summer select program as part of his responsibilities over the last several years. For the past three years, Coach Vloedgraven has also served as the girls high school varsity soccer coach at Rutgers Prep in Somerset NJ, and coached the Westfield FC Milan U-18 Boys Team. Additionally, he coached the Westfield FC Fire U-14 Girls Team in 2013-14. During his time at DTS he has worked with many other teams/clubs in central Jersey leading 4 teams to State Cup finals and winning numerous in and out of state tournaments. He has also helped many develop into complete players so they can successfully play at the collegiate level. Coach Vloedgraven was raised and educated in the Netherlands. He holds a Bachelor’s Degree in Education from Christelijke Windesheim University of Applied Arts and Sciences. He currently holds the NSCAA Premier diploma, the NSCAA Director of coaching diploma, several licenses from the USSF, KNVB youth licenses and coaching certificates from US Futsal. Before moving to the US, Coach Vloedgraven spent numerous years as a player and coach at a top amateur program near his hometown Deventer, the Netherlands. As a coach he was in charge of the U12 and U14 program and part of the board of technical directors. In this role, he was responsible for the program development of the Club and the development of the individual players to help them reach their goal of becoming first team players. As a player, he spent 3 years as part of the first team after going through the ranks of the youth system at 1 of the highest levels of amateur soccer in the Netherlands. “I am thrilled to join the WSA as its Director of Coaching. Westfield is a first-rate, community-based Club that other towns seek to emulate. I know this from my interactions with parents from all over the state in my prior role at Soccer Centers. The WSA has over 2500 players enrolled every year across a wide variety of programs and with varying levels of commitment and competitiveness. Although I enjoy working with highly skilled players, creating passion for the game and progressive skill development for all types of players, especially those in the elementary school age group, really drives me. I look forward to advancing the strong training, programs, sense of community and soccer culture in my new role here in Westfield”, says Coach Vloedgraven. The role of the Director of Coaching (DOC) within the WSA is to raise the technical development of all players, and the coaching effectiveness and consistency of our parent volunteers and paid professionals. The DOC will work collaboratively with the Board in developing educational and enjoyable environments for our players as well as measuring program success. The WSA is a not-for-profit organization established to promote the sport of soccer in Westfield through a variety of programs and activities. Sportsmanship, fair play and fun are core values of the Club. Please visit www.westfieldnjsoccer.com regularly for latest Club news, programs, events and announcements.